Here are the results of the January poll. 37.66% - A friend or family member recommended the books to me. 26.64% - I stumbled across them while browsing in a bookstore or library. 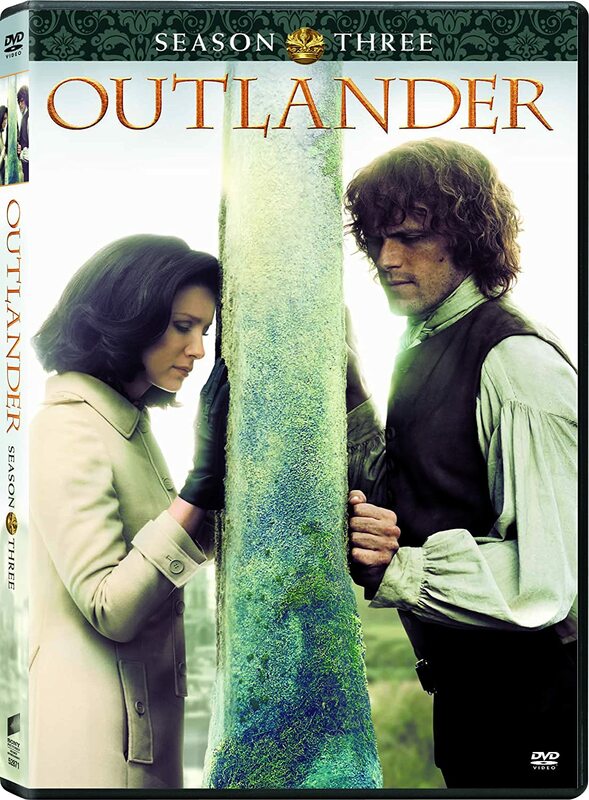 12.89% - A friend or family member gave me a copy of OUTLANDER, saying, "Read this, you'll love it!" 3.67% - Someone on Facebook, Goodreads, or another online site recommended them. 2.34% - A librarian or bookstore employee recommended them. 2.27% - I discovered the audiobooks first, then decided to look for the printed version. 2.19% - I read a review in a newspaper, magazine, or online. 1.88% - Doubleday Book Club or other book-of-the-month club. 1.72% - I don't remember. 1.64% - I found a used copy at a garage sale, second-hand bookstore, etc. 0.78% - Someone at my book club mentioned them. 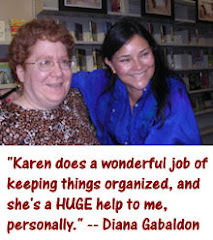 0.16% - I had been reading excerpts of Diana's work on Compuserve since before OUTLANDER was published. 0.08% - I happened to see Diana at a book-signing or other public event. Here are the responses for "Other". It's rather a long list, but I thought the responses were worth sharing. Heard the hype after the hardback came out, bought the paper version. While babysitting, I found Voyager on coffee table. Instantly hooked! Was intrigued by mention of J and C in Sara Donati's book. Never looked back! I was searching for the longest books possible on Audible. Some random women (maybe on the bus) told me about it in the early 90's. Free Nook book-GLADLY paid for all other DG books!! I found the books on my grandmother's bookshelf when I was about 10. I read it when it first came out, and I don't remember how I discovered them. Found them at a Highland Festival right after the first book came out. A friend lent it to me! Came across the first two books at Costco. Outlander was free on Kindle autumn 2010 - that got me started. I read several of The Lord John books first. I had gone to 'Scottish Games' event and overheard a lady talking about it. was looking online for similar book like "A knight in shining armor"
I stumbled across it in an Albertson's of all places! I read Scottish Prisoner and had to find out more about Jamie Fraser. Found the first book at a bookstore shortly after pub. Followed ever since. A waitress told me about the series. I needed a very thick book to read during summer holidays. Co worker not really a "friend"
Random person came into the shop I work at and recommended them. A student in my class recommended them when I talked of similar books I loved. I read a recommendation on Amazon! My husband gave DRUMS OF AUTUMN in Xmas stocking..now re reading all. .
Borrowed from a stack of paperbacks a friend had. Rest is history! An aunt gave me Voyager - the first DG book I read. Came across it while browsing for historical fiction set in Scotland. I saw the series mentioned online in an "if you like this" tye of way. By pure accident I bought Dragonfly I. A. and from that day I was hooked! 1995.. The first book was a kindle freebie. I was one of the proofreaders for Dragonfly in Amber and couldn't put it down. In a store I was working at, while I was putting books and magazines out. An AOL story in 1999 titled "Books That Changed Your Life." They did. I went to Scotland in 1998. A co-worker felt I would like the book. I DID! I found 'Outlander' in a store while on my lunch break. 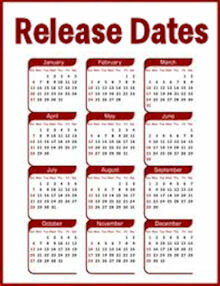 I had to wait for DIA ! I read fast so I was looking for the fattest book. Thank you Diana. I found it on a bookshelf in the recyclingroom i our building! 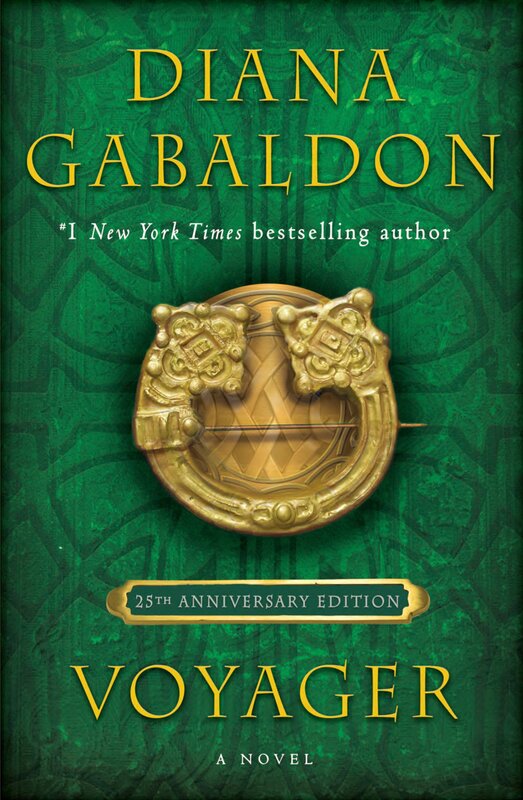 Amazon was featuring Outlander for free on Kindle. I googled Scotland and "Outlander" showed up. I was given Dragon Fly in Amber as a Christmas gift in '92 and was hooked!! Looking for a new book on Amazon & saw ALL the awesome reviews. My OWN bookstore employee nagged me until I read Outlander. Read til 3 am. At a library sale of old books. After reading DOA I went and got the series. There were 1280 responses to this poll. Thanks very much to everyone who participated! Please take a moment to vote in the February poll, which is all about your reactions to the upcoming OUTLANDER TV series on STARZ. The responses for "other" are incredible ! The ones I like the best : "Huge Sam Heughan fan, found the books after he was cast as Jamie" and "overheard two women talking about Outlander". Thankyou Karen for keeping us updated.